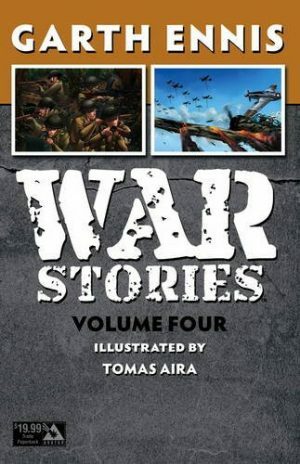 A slightly slimmer hardcover than volumes one and two only features a pair of stories, both revisiting characters seen in previous books, progressing them beyond World War II to the 1950s, and in the case of Anna Kharkova, beyond. 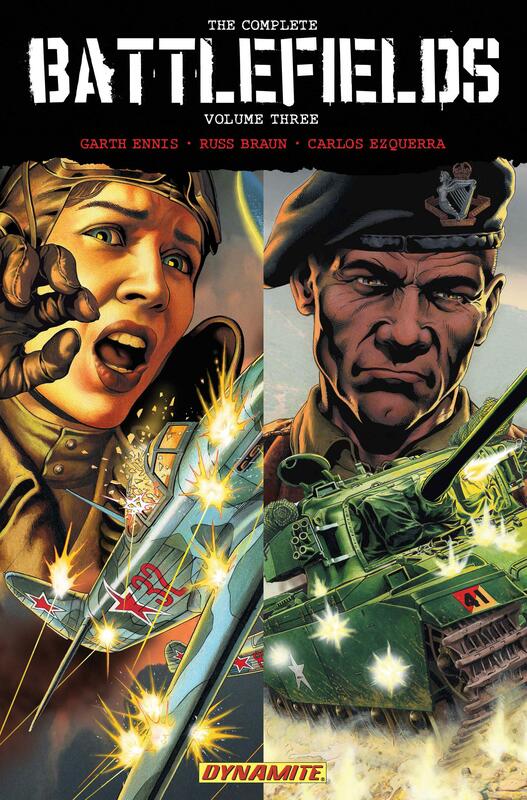 Garth Ennis fairly zips through Kharkova’s career since last seen in volume two, in what was originally issued in paperback as The Fall and Rise of Anna Kharkova, highlighting how quickly one could slip down the pole from hero of the Soviet Republic to work camp internee. A mission too far sees her shot down, and most of the remainder of the opening chapter is spent in a German prisoner of war camp. The conclusion to that is one of several surprises Ennis has in store for Kharkova, who has reason to be thankful she reassessed her attitude to her mechanic Mouse in the previous collection. Russ Braun has to accentuate the harshness of Anna’s life, and age her twenty years over the course of the story, and he does so evocatively, spreading his own wings when it comes to the few flight scenes included this time. Anna’s story is sad and distressing, and all the more powerful for that. Sgt Stiles re-enlisted after World War II, and is now in Korea as part of the British contribution to the United Nations peace effort of the 1950s. As an older man with greater experience, he’s now more reflective and inclined to consider the bigger picture, while his past weighs heavily. 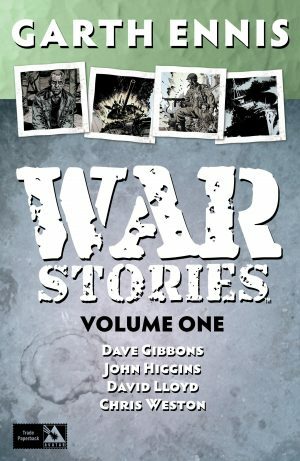 Although he’s a neat character study, Ennis is really concerned with the tragic fate awaiting the Gloucester regiment, the story he wants to highlight. Having drawn Stiles’ previous experiences, Carlos Ezquerra’s art is a mixed blessing here. 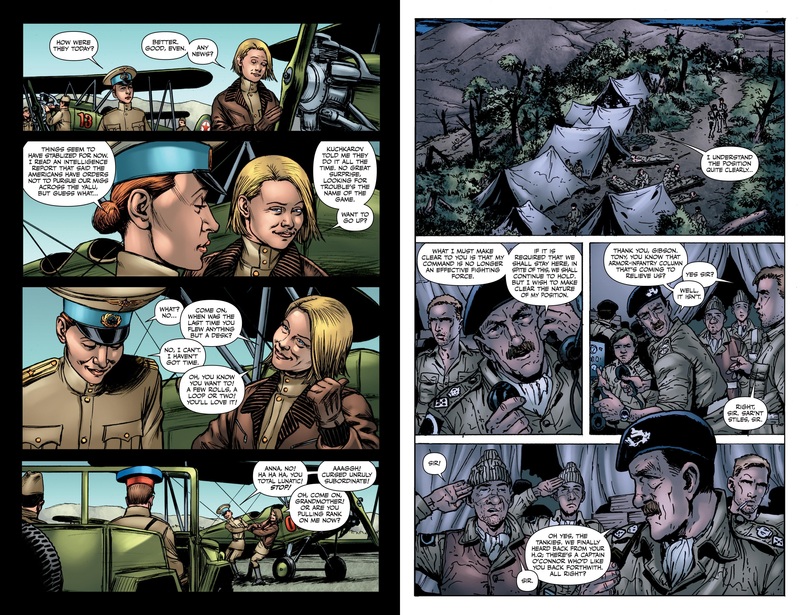 There are pages featuring great detail, but also many that look dashed off with little thought given to the layouts. This was also available individually as The Green Fields Beyond. 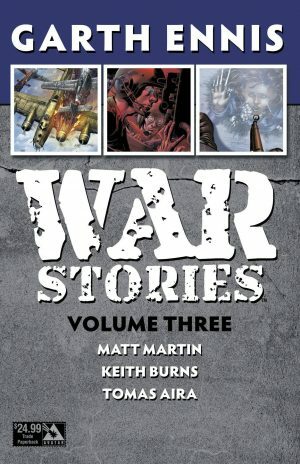 It’s been noted elsewhere that with his war comics Ennis is single-handedly perpetuating a genre that’s otherwise almost dead in English language comics. It’s a shame, as immense pressure and unknowable circumstances reveal the truth of the person within, and if that’s not prime dramatic fodder then what is? 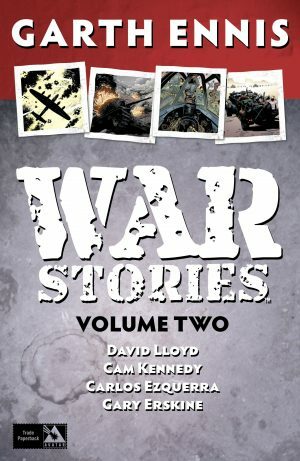 As with his other war material, Battlefields is deeply researched, and the resulting stories are wonderfully, and sometimes heart-rendingly, personalised. Ennis wants us to remember the heroism of those who’ve paved the way for our lives, often sacrificing their own to do so. As previously, the collection ends with his notes emphasising that and providing background information.